Indices are a great way to break down a complicated matter like the secondary whisky market into a single figure. Optimally the index is easy to understand even for those not directly involved in the subject. Also it is of course great when historical index values do not change anymore. 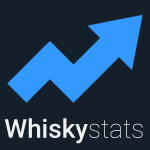 We call these two characteristics time consistency and easy interpretability, and our aim with these new Whiskystats indices is to achieve both. Let us assume that we want to calculate the index movement for the Islay based distillery of Ardbeg for August 2018. First we figure out which Ardbeg bottlings were traded that month. Out of these bottlings we determine those 100 which historically (so prior to and not including August 2018) were traded the most. The index movement for August 2018 is then given by the ratio of the summed values of these bottlings in August and the summed values of these bottlings in July. Of course not every bottling is guaranteed to also be traded in July. For those cases we use linear interpolation to get a market value for July. Every index starts with a value of 100 in December 2012. For the subsequent months the index returns are then calculated as explained above. The number of included bottles may vary as sometimes no 100 bottlings were traded. If there are less than 10 bottlings traded we do not calculate an index return for that month and hence the corresponding index will not move. By definition the above methodology ensures time consistency of our indices. Now, lets turn our attention to the interpretability. It is the monthly returns of our indices which are very easy to interpret. If the index goes up by e.g. 2% in one month this simply means that the 100 most traded bottlings by that date increased in value by 2%. In order to achieve time consistency we had to sacrifice easy interpretation of the absolute index values. Since the set of bottlings that contribute to our indices is subject to change each month, the indices in total do not describe the price development of a fixed collection of bottlings anymore. However, they still give us a sense of how the prices for the particular market segment evolved over time. Also these indices make it very easy to compare different market segments by simply comparing their indices. The Whiskystats Whisky Index (WWI) is our major market index. For this index we use 500 bottlings (instead of 100 like in the example above) per month. So this index describes how the overall most traded whiskies changed in value. Since there is no shortage of whiskies traded we additionally imposed one restriction for the WWI. At max 10% of the whiskies forming the index return in each month are allowed to come from the same distillery. For example, the WWI movement of August 2018 was driven by 10% Macallans, 8% Ardbegs and 6% Bruichladdichs. For our region, distiller and bottler indices we use the exact methodology described in the example above without any additional restrictions. As explained, an index will not move if there are less than 10 corresponding bottlings that were traded in the given month. We only display an index if it moved for at least four out of the six past months. However, once an index is displayed it will stay displayed even if it doesn’t move anymore. As mentioned, our indices are great to directly compare different segments of the market. In our monthly updated distillery ranking we do exactly that. All distilleries for which we were able to calculate and index are ranked by their latest index value. In addition we also display the second latest index value and the latest index return. We also indicate whether a distillery moved-up or -down our ranking in the last month. With this ranking we can easily keep track of on which distillery the collector´s market is focusing at the moment. The Whiskystats Fabulous 50 (Fab50) are a hand selected collection of 50 single malt legends. The included bottles are all displayed on the index site. This index sets itself apart from the others since it simply reflects the price development of this fictional collection. So we are not using the above described methodology for this index. A Fab50 index value of 300 simply means that these 50 bottles tripled in price over the corresponding time interval. You can now find the latest auction results in our whisky database. It was a relative quiet auction month. The Highland Park Ice Edition made its appearance on Whiskystats. Teaninich is the winner of our monthly distillery ranking. This topic contains 0 replies, has 1 voice, and was last updated by Whiskystats 6 months, 4 weeks ago.